Winter is upon us once again in Bingham County, and it’s time to take the proper precautions to make sure your pipes don’t freeze. Frozen pipes can create a major problem for your property and is something you should avoid at all cost. If you do find yourself dealing with the issue of frozen pipes, don’t hesitate to contact Restore Rite in Bingham County. 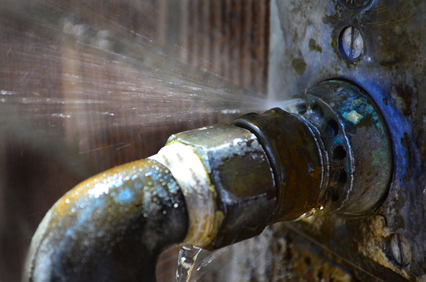 At Restore Rite we specialize in water damage restoration and the problems caused by frozen pipes. Here are a few ways to prevent your pipes from freezing. This is most common method people employ to prevent their pipes from freezing. Simply keeping water moving through your pipes is often enough to prevent any serious freezing from ever occurring. You don’t need to waste a lot of water and rack up a water bill to do this either. Just keep a drip going on in your faucet whenever the temperature drops below freezing. If you are worried that keeping your water dripping won’t be enough to prevent freezing in your pipes while you are away, keeping the heat on in your home is another way to help. Just turn the heat up slightly higher than you normally would and open up your doors and cabinets so your pipes will be kept warm. An effortless way to prevent your pipes from freezing is opening up the interior doors and cabinets in your home. Doing this warms the pipes by using the heat already inside your home. Keeping your doors and cabinets closed traps the heat outside and the cold inside. Any cracks or holes that develop in your home should be sealed up as soon as possible, especially in the winter. These cracks and holes will allow the cold to seep into your home. This could cause you a fortune in heating bills in the long run. It can also lead to your pipes freezing if the cracks and holes allow enough of the cold in. Adding extra insulation to trap the heat in is a slightly more expensive way to protect your pipes, but it can go a long way toward keeping your pipes warm in the future and preventing freezing. This isn’t for everyone as it may be an unnecessary expense. In Bingham County, however, some winters are cold enough that it may be a good idea for some residents. With winter coming in Bingham County, it’s important to know what to do to prevent your pipes from freezing and causing water damage. By doing the things mentioned above, you should be safe from the hazard of frozen pipes and be able to rest easy throughout the winter. However, if you do encounter problems, don’t wait to reach out to a professional water damage restoration company that can properly guide and assist you. If you are unsure of which preventative measures to take, contact the professionals at Restore Rite – they are local and efficient and can help safeguard your pipes from the cold and dangerous winter weather.